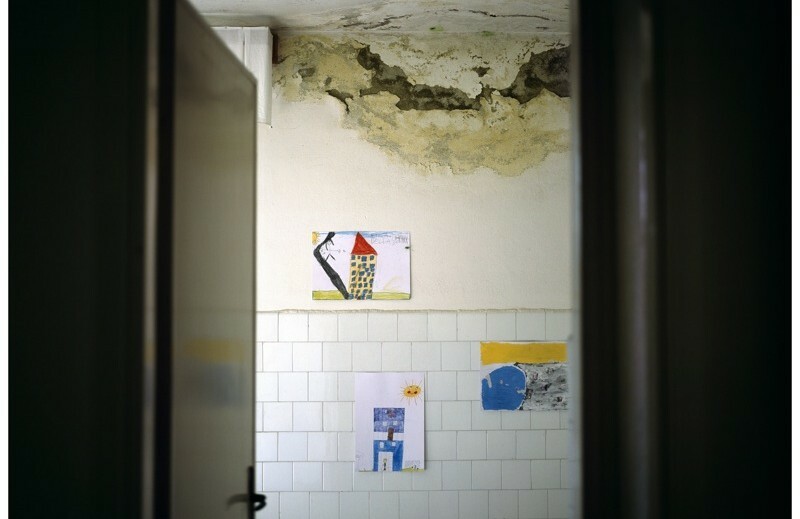 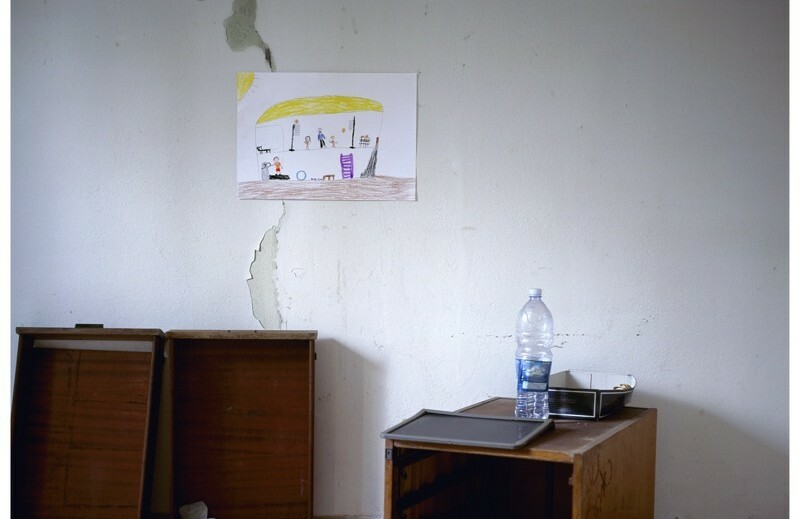 Mikhail Karikis devised a series of drawing workshops with children aged 7-8 y/o growing up around the depopulated villages near Larderello, which were abandoned by their parents after the automation of the local power plant where they worked. 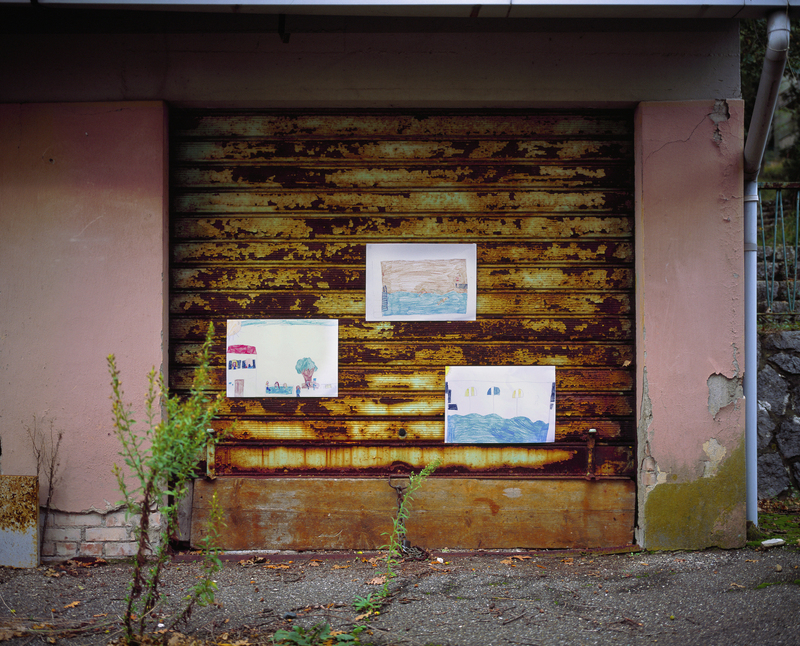 Following a guided tour of the deserted areas by a former employee of the power plant, geologist and resident of Larderello, the artist asked the children to draw the village the way they imagine repopulating it and living there in the future. 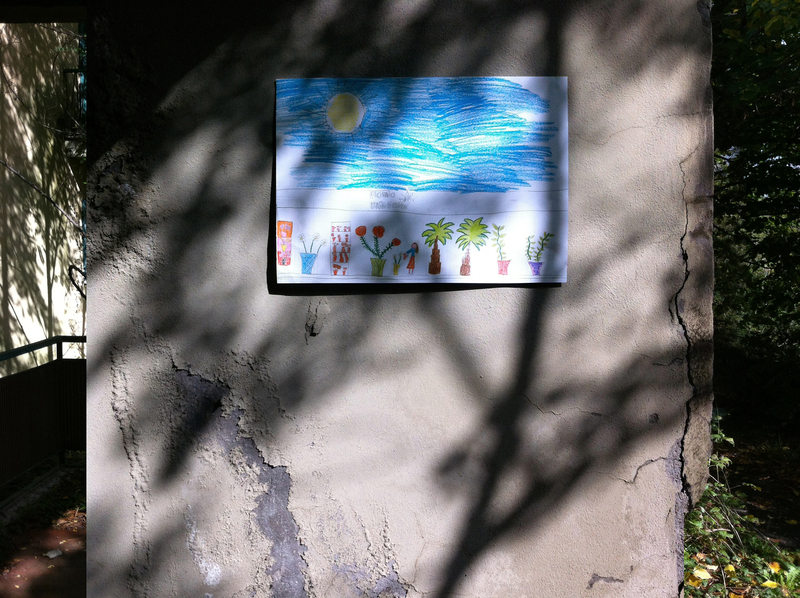 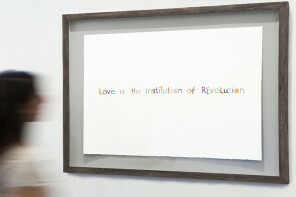 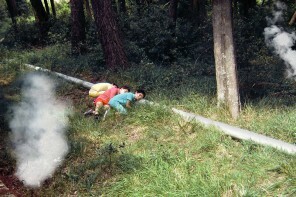 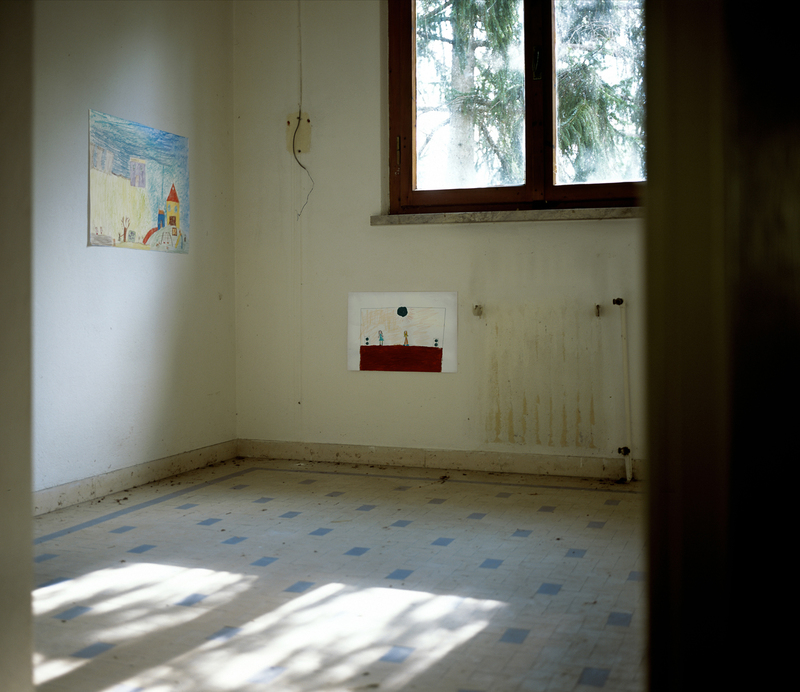 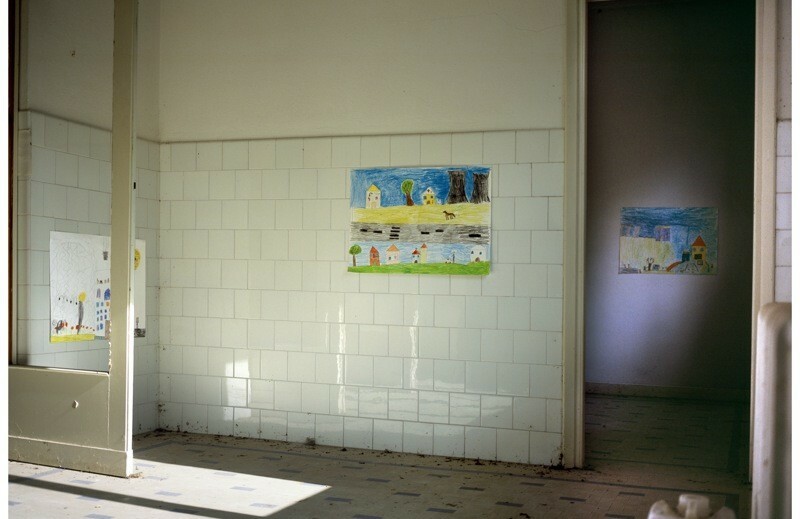 The subsequent children’s drawings were installed within a selection of deserted sites in the villages related to the children and photographed by the artist. 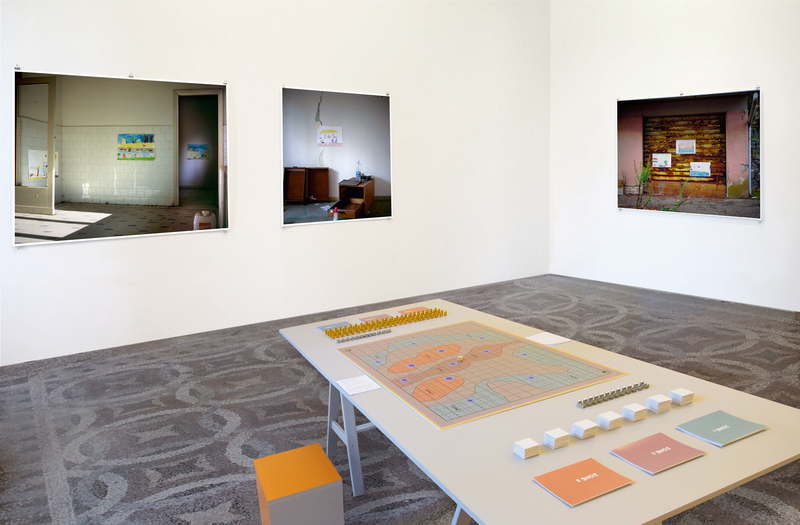 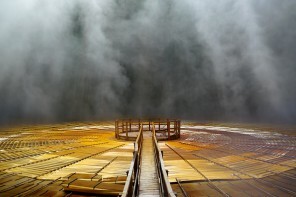 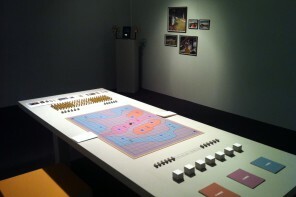 In this work the non-linear arrangement of past, present and future, the intergenerational sharing of life-visions, and the implied complexities of utopia versus dystopia come into play.